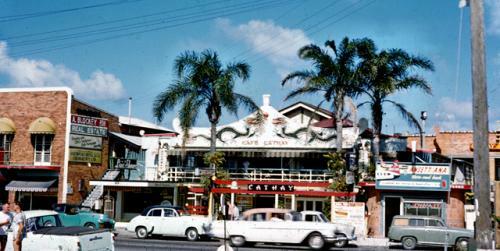 Cathay Cafe, Pacific Highway, Surfers Paradise, Queensland, November 1958. Arthur Leebold, photographer. 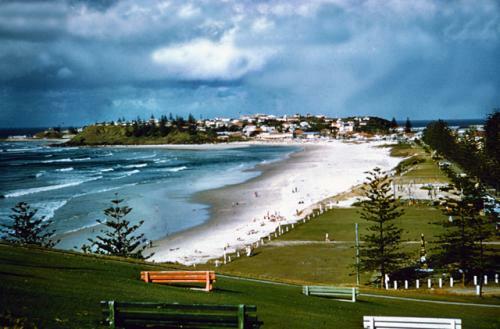 Coolangatta Beach taken from Kirra Hill, Queensland, November 1958. Arthur Leebold, photographer. 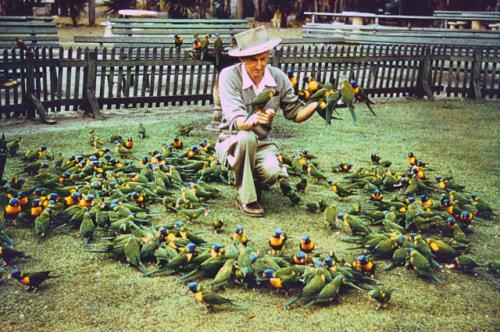 Alex Griffiths feeding the lorikeets at the Currumbin Bird Sanctuary, Currumbin, Queensland, November 1958. Arthur Leebold, photographer. 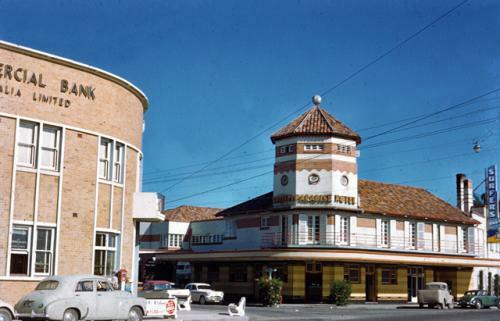 The Walk Arcade, the first modern arcade in Surfers Paradise, Queensland, November 1958. Arthur Leebold, photographer. 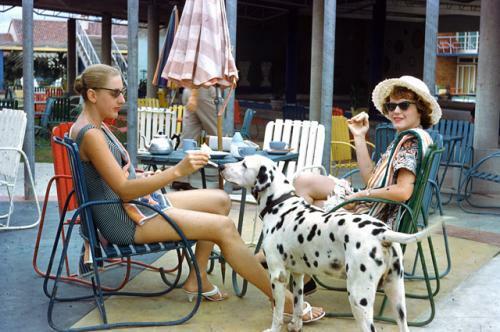 Holidaymakers sitting at an outside cafe, Surfers Paradise, Queensland, November 1958. Arthur Leebold, photographer. 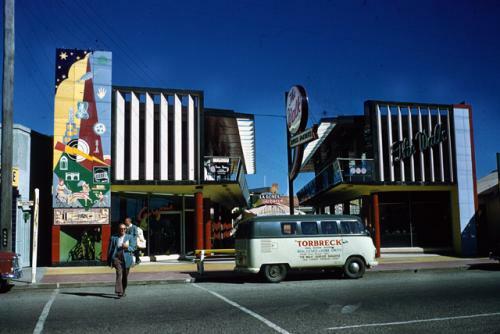 Surfers Paradise Hotel, corner of Gold Coast Highway and Cavill Avenue, Surfers Paradise, Queensland, November 1958. Arthur Leebold, photographer. 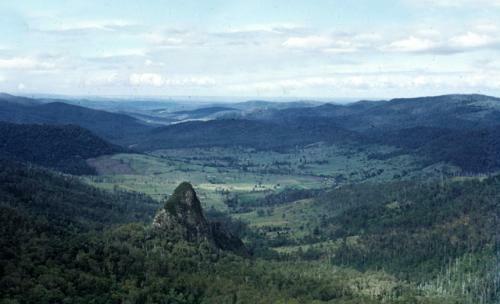 View of Egg Rock in the Numinbah Valley, as seen from Binna Burra, Queensland, November 1958. Arthur Leebold, photographer.